Sunday Night comes around, and despite an overwhelming feeling of relief as we have finished out the week in Durham, North Carolina making it to out treasured day off, there is an underlying feeling of dread. Nine hours of interstate drudgery lay ahead, only to be broken up by the Airbnb in Richmond and occasional roadside, coffee stop. The destination, New York City, one golden day. Such is the life of the touring performer, one day off to squeeze in loved ones, friends, rest, and travel to wherever the next stop is ready to go again on Tuesday. Next weeks theatre lies in Boston, MA, so a quick stop off in New York seemed necessary for us city starved ‘cosmopilitanites’, we get itchy when we cant find the bite of a bitter cold brew, teeth jitter at the thought of a brunch without the avocado staple, these are the comforts of your average insta dazed, cosmopolitan millennial shaped by the cities whose pork belly, salted caramel, vanilla latte gentrification formed around the same time we formed some semblance of adults. My point is, New York on a day off is a necessary evil. Arriving, bewildered from long hours of podcasts, highways and playlists a bleak looking, rainy New York, the gargantuan metropolis, peers down as the city unveils itself from the vista of the Lincoln Tunnel. Pass through Hell’s Kitchen and Midtown arrive at the eden of Manhattan. Central Park’s colour and light slice the glass veneer of the city. Peace and sanctuary of the sprawling oasis battles the surrounding craze of tearing taxis, sweeping subways and lively locals. 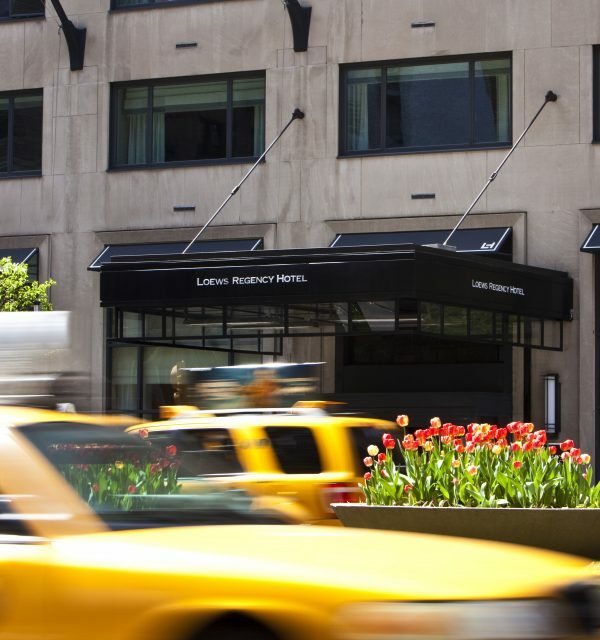 It’s neighbour, the upper east side sits perfectly positioned between these two worlds. The famed venue of the Vanderbilt family’s favoured stretch of Fifth Avenue, the area exudes old world wealth, with handsome townhouses lining the streets. The area has played host to some of the most famous, notorious names in America’s upper class, the oil-rich Rockerfellers, Political Roosevelts, Political Dynastic Kennedys, thoroughbred racing moneyed Whiteness, and tobacco and electricity fortuned Dukes, to name but a few. 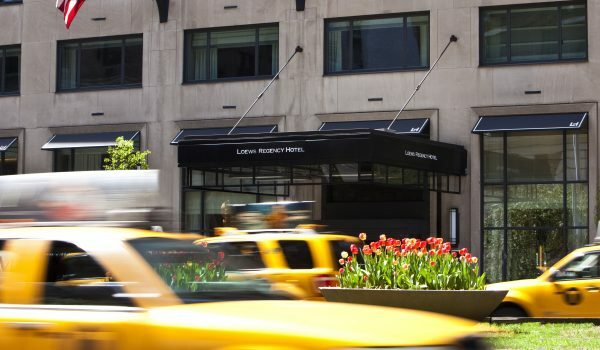 Sitting amongst these lies the ‘Loews Regency New York’, pride of place on the corner of 61st and Park Avenue sits the hotel, concrete in structure with the typical art deco sleekness you would expect from an address of this kind. The location is a truly enviable position, the close proximity to broadway, 10 blocks or so, and the bright lights of mid town are a real draw. But the mid-town craze is nicely muted from the comfort of the upper east side and central park. There is also easy transport to Brooklyn, around a 30 minute uber away for those wishing to get to grips with Manhattan’s trendier neighbour. A real must for anyone looking for the cutting edge of style, music, and most of New York’s attraction with half a step less tourism and craze than Manhattan. Fashionable, up and coming Harlem also isn’t too far. The Loews Regency opened originally in 1963 as ‘The Summit’ where it previously held the Loews Lexington theatre and Oscar Hammerstein’s Lexington Opera House. 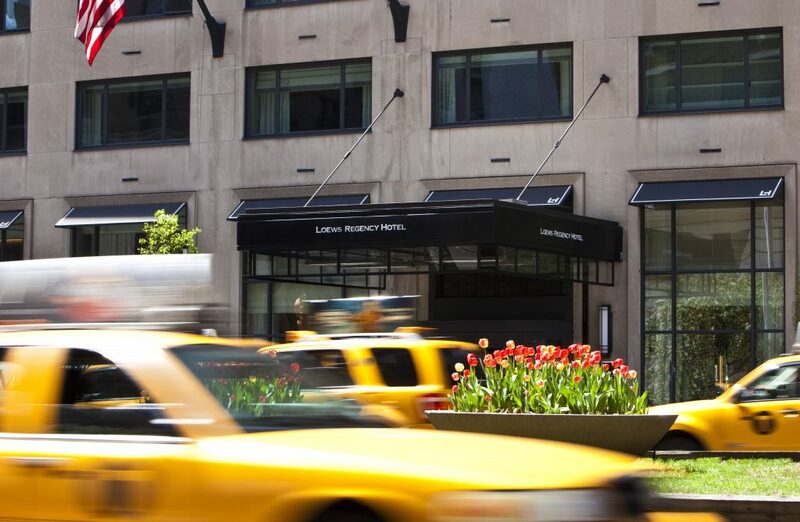 Since then, with the help of a $100 million dollar refurb, the hotel has stayed relevant, enlisting design names such as Meyer Davis Studio, Gherardo Guarducci, Dimitri Pauli, Julien Farel and Rottet studio, alongside artists such as Brooklyn’s Nina Helms to bring the hotel to a modernity and chicness to rival even the kitschiest of Williamsburg pop-up. 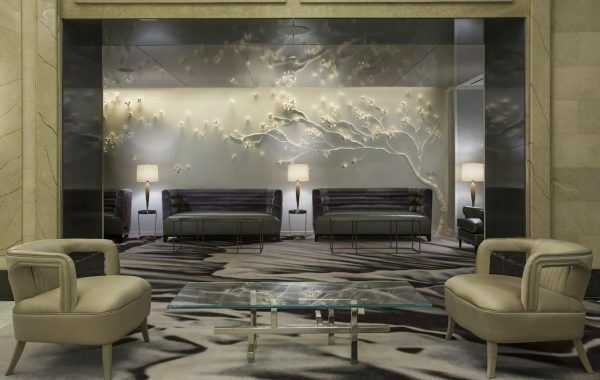 The lofty lobby’s high ceilings immediately welcome you in with a white marble opulent glow of F Scott Fitzgerald proportions. The building pays homage to that illustrious history whilst serving up a steaming array of 2018 touches to delight any weary traveller. 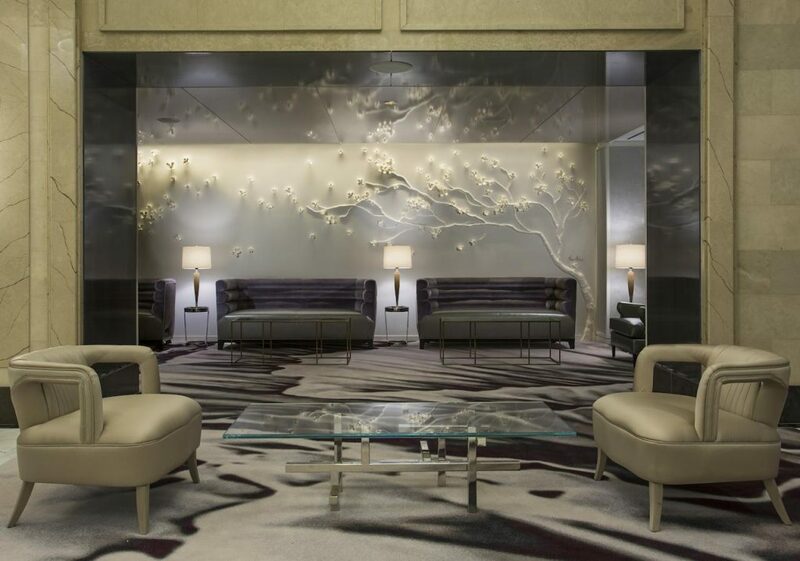 Power and internet outlets adorn the sofas and wifi is free and available throughout, something less common than you might think in the luxury hotel market. 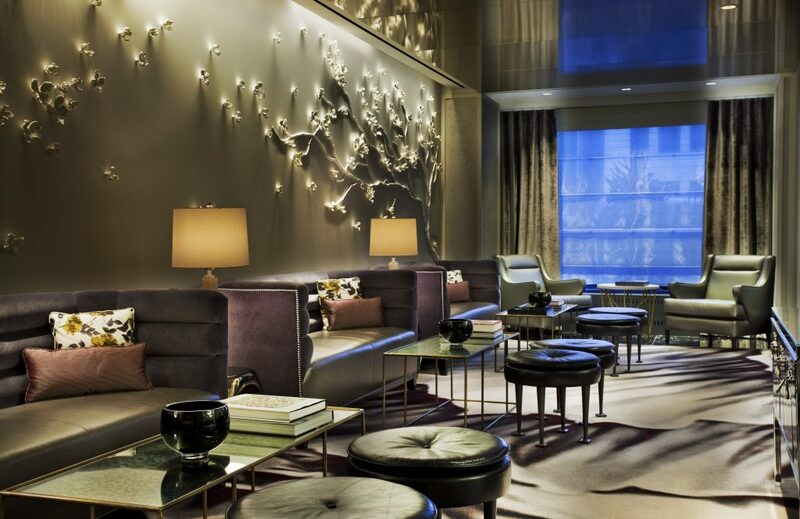 Needless to say the touches you would expect for rooms starting in the mid $400’s, are all here; attentive, professional service, knowledgable concierge and courteous doormen neatly wrap up the entrance lobby’s package in Jonathan Tisch’s (owner) Park Avenue gift. 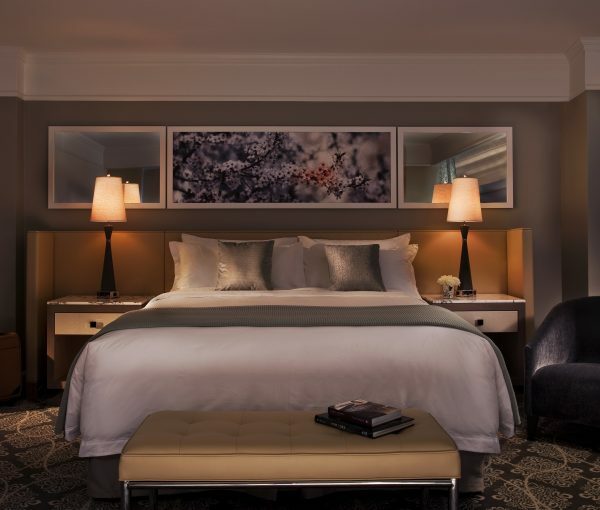 The rooms at the Loews act as a perfect juxtaposing force against the vivid, hectic delirium beyond the windows. Stylish white, and grey purvey the fresh, gorgeous rooms, combining in a clean modernity, yet subtle touches of artistic flair thwart the clinical feel that can sometimes occur with these colour schemes. The large double bed from my executive suite is soft but firm, with crisp, sheets and cloud like duvet. Luxurious bathrooms with white polished marble ooze opulence, twinning seamlessly with tech such as a mirror with embedded TV system. The bathroom also comes complete with celebrity hairstylist Julien Farel bathroom products just to add to the exclusive ambience at work here. The attention to detail throughout the space designed by ‘Rottet Studio’ declares this as luxury in its truest form. 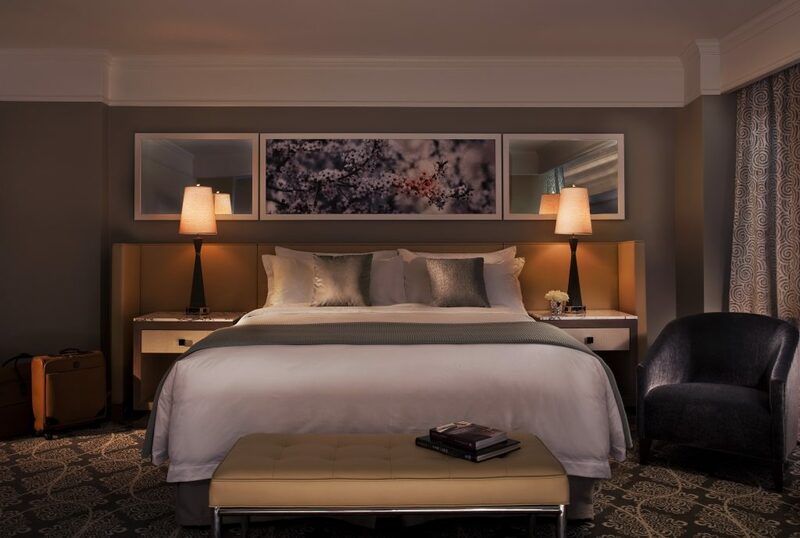 As well as this the hotel houses 6 luxury suites each with its own unique design, each paying homage to a particular period or style of New York. The rooms here draw an audible sigh of relief as one retreats here from a night on the town. This was certainly the case for me as in my 22 hour trip I managed to fit in dinner, a broadway show and seeing a few friends, oh and sleep! The show, ‘Once On This Island’ by the way was FANTASTIC, the tony winner for best revival is a true treat for the senses and I truly recommend to anyone looking to add a theatrical splash to their big apple trip. 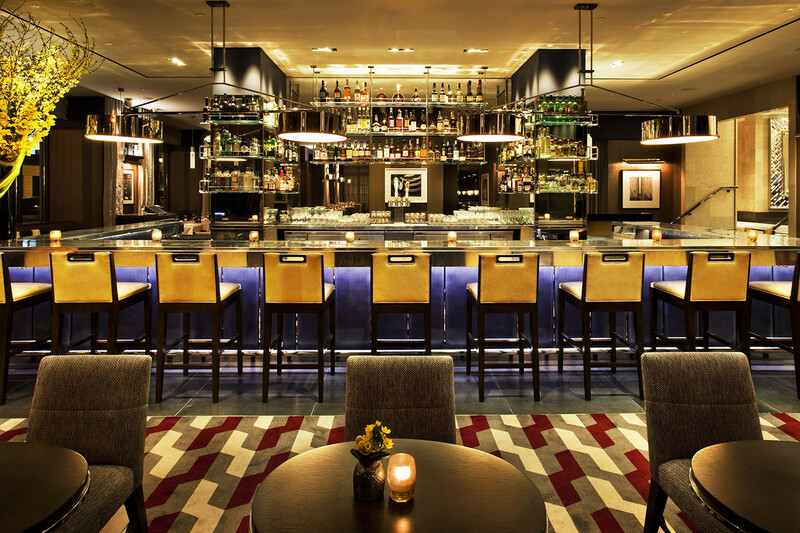 Unsurprisingly the high quality level of design expertise extends through to the hotel’s bar and restaurant, ‘The Regency Bar and Grill’. 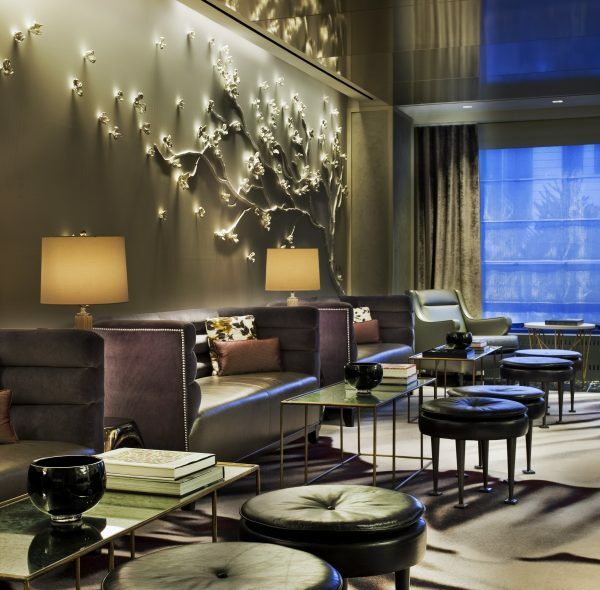 The bar is pure New York in essence, low lighting and dark woods glide softly against the illuminated, island bar serving a sumptuous array of culinary treats. Breakfast here is a particular favourite. The hotel itself coined the phrase ‘Power Breakfast’, on behalf of the hefty morning meetings that would take place here. The story goes that the two owners, seeking to incentivise the city’s growth, would invite New York’s big wigs to breakfast in the wake of the 70s market crash, cunningly placing themselves at the heart of the buzzing elite. A self confessed brunch connoisseur, I was particularly impressed by the food on offer, avocado toast, pastry sampling and a coffee here were wonderful, a perfect breakfast to begin a march onward toward Boston. A wonderful night awaits, for those who choose the Regency. In the film ‘Manhattan’, Woody Allen writes about a character who sees New York ’as still a town that existed in black and white and pulsated to the great tunes of George Gershwin’ staying here it is easy to slip in to this, perhaps you too will find yourself swooning over a hued rhapsody in this old world decadence spruced and styled with all the comforts of 21st century bespoke luxury.